I can't remember the last time we opened up a toy without a screen and my kids played with it all day long. But that is exactly what happened when I handed my two kids and their cousin three sets of Beados from Moose Toys. 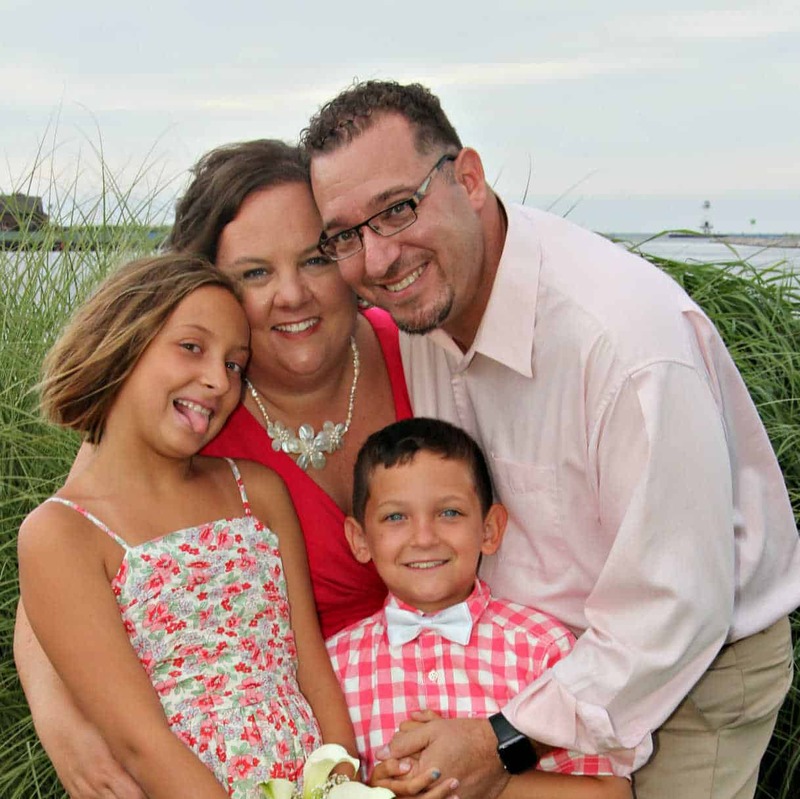 At first it was utter mutiny as the 10 year old girl took charge over two 8 year old boys. But after sorting out who got what, I enjoyed hours of quiet and the kids spent the day being creative. 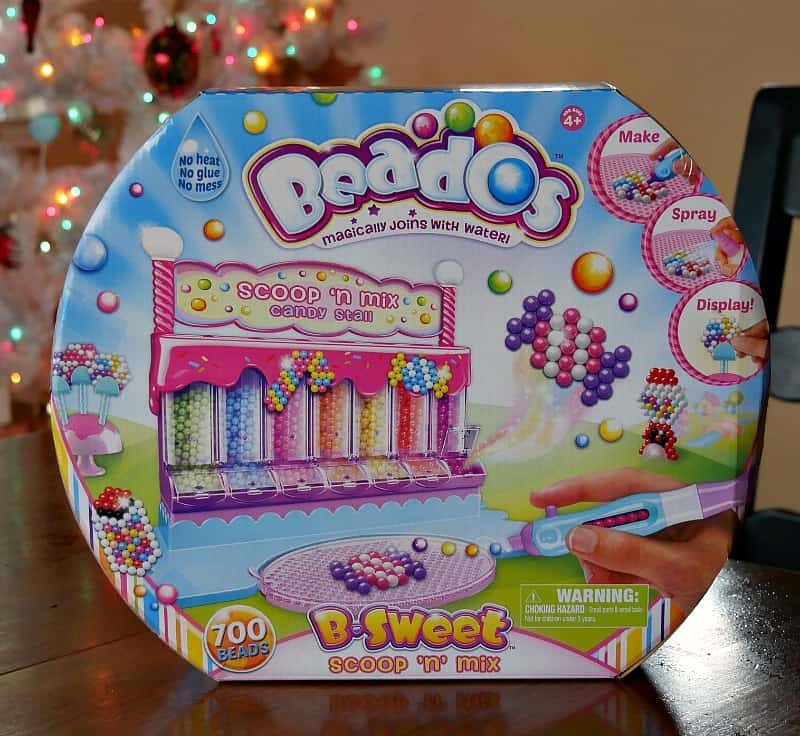 I had never heard of Beados, but my kids were ecstatic when I pulled them out. 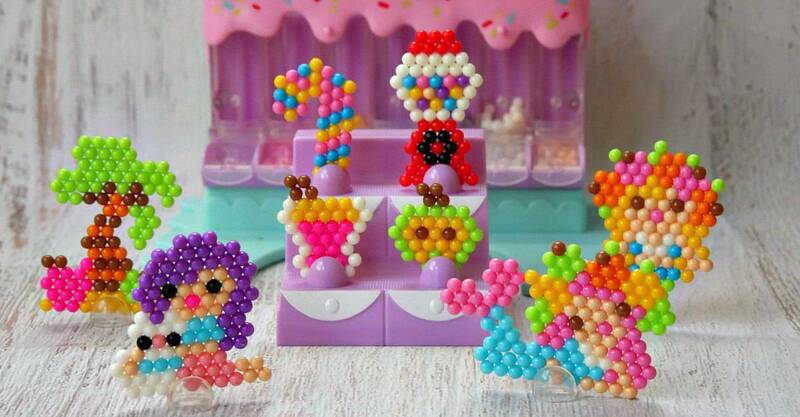 Beados remind of playing with perler beads when I was kid. But the biggest difference is that Beados are bonded together with water instead of heat. That means that the kids can create all day long without any parental assistance. 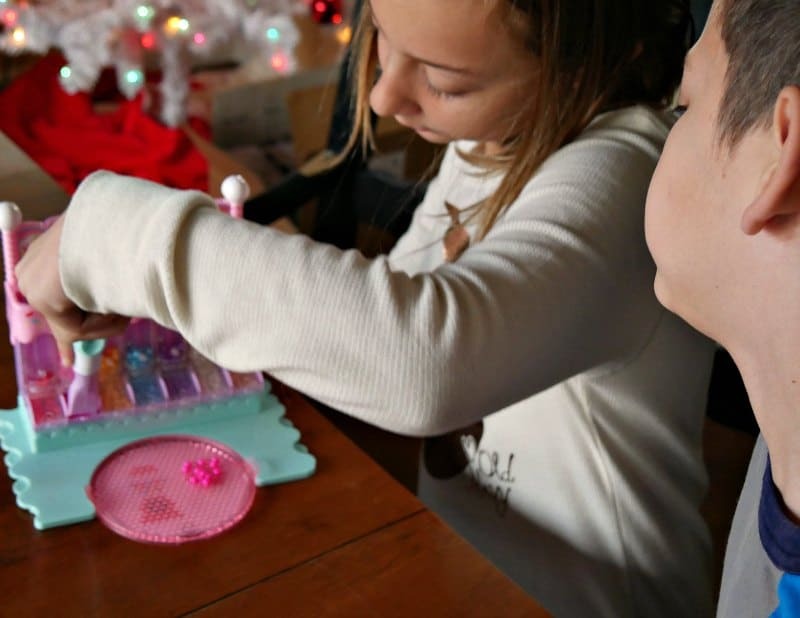 No heat, no glue and, most importantly to mom – no mess! 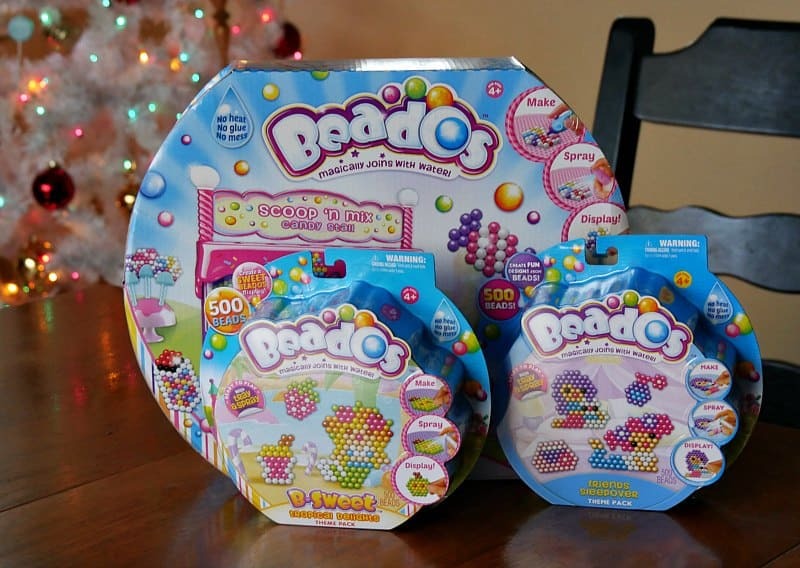 Beados come in different themed sets that include beads, play pads and scene cards to create themed displays. The kids created Beados with a candy shop theme, a tropical theme and a sleepover theme. 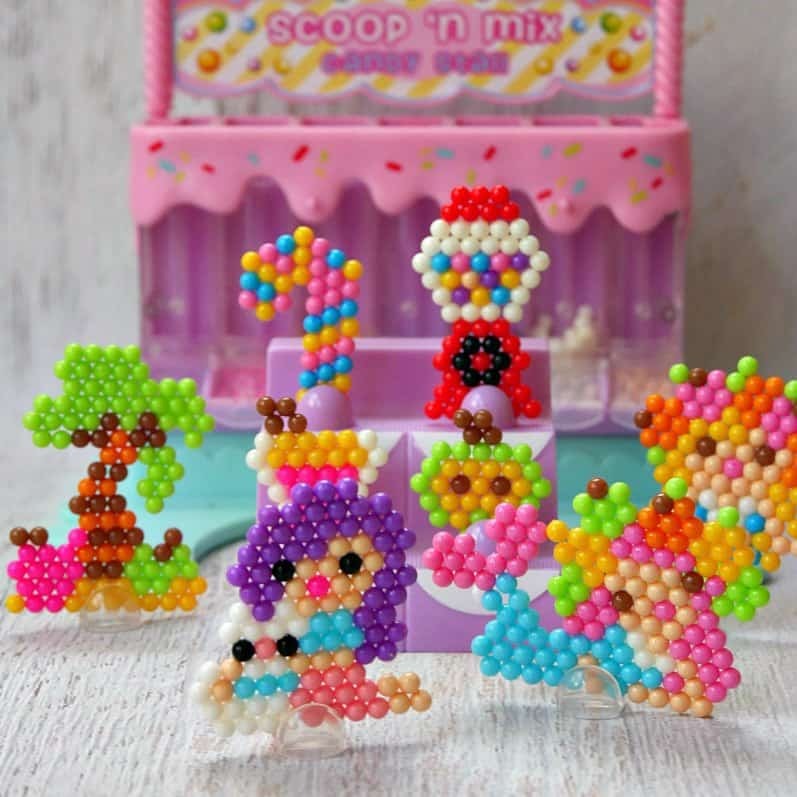 The Beados B-Sweet Scoop ‘n'Mix set was definitely the biggest hit with the special pen for helping to drop the Beados in the correct spots on the trays. 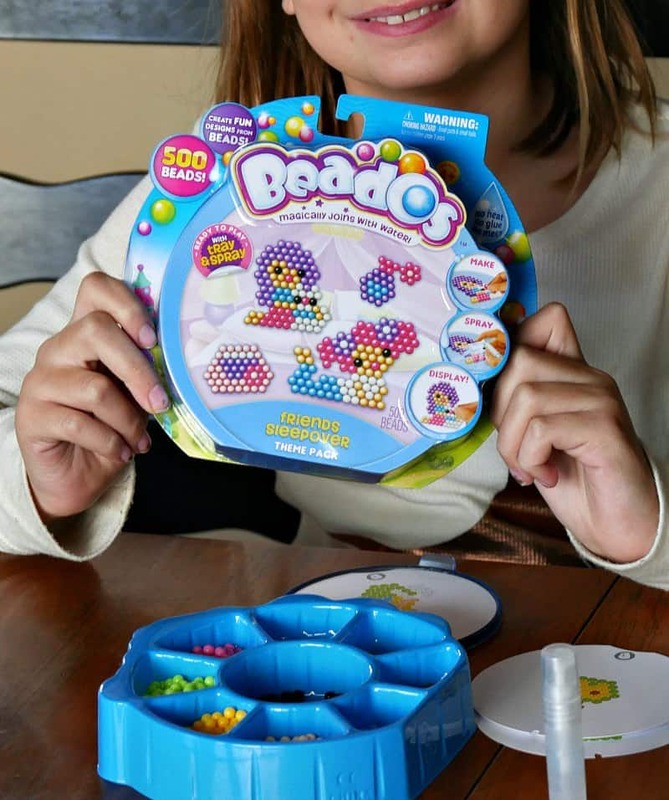 I was a little worried about 700 beads, but the kids went through most of them. Beados also offers just the beads for when you run out. 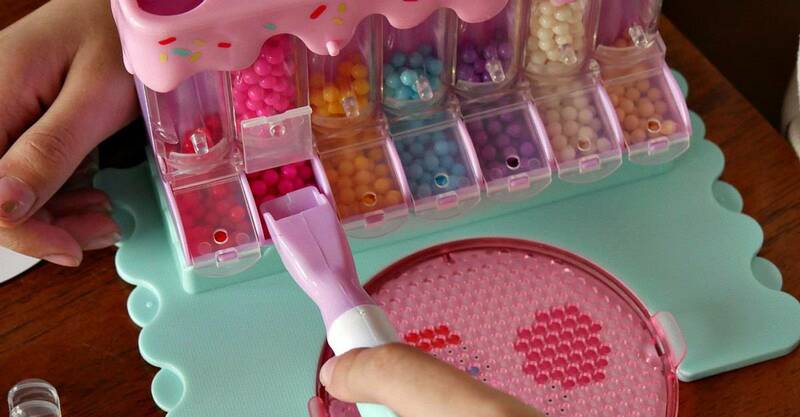 The scoop function of the pen was a big hit with all the kids and it did make putting the beads in to the trays a little easier. We only had one of the pens so the kids took turns, but given how much they loved these sets, they may be finding a pen in their stockings. The Beados sets come with several different themed templates to create little scenes. In the case of the candy shop, they kids could create candy, cotton candy, candy canes and more to fill up the shop. 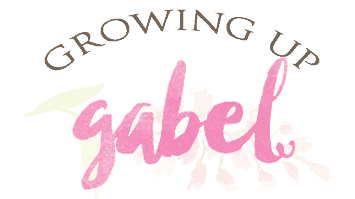 The Tropical Delight set came with mermaid templates, which were a huge hit with my mermaid loving daughter. 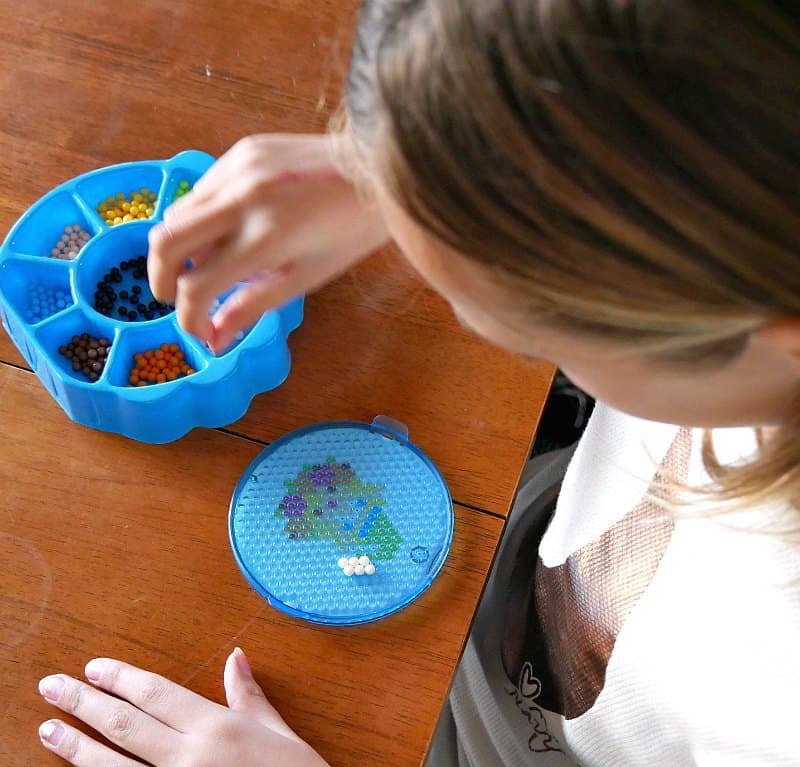 With this set, she just used her fingers to grab the beads and place them on the template. A few sprays with the water bottle, and 20 minutes later, the Beados collection grew and grew throughout the day. While the kids mostly followed the templates that came with the sets, my son got adventurous and started making some of his own designs, which was really neat. I loved that he let his own imagination take over. Beados would make a great Christmas gift and they'd also be great to have on hand for a snow day or inclement weather. 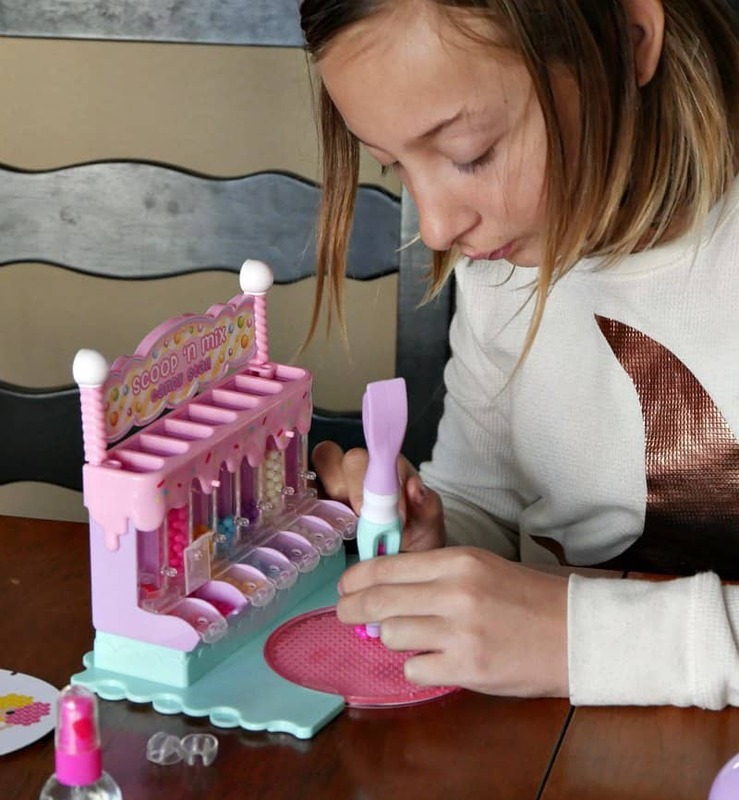 I can almost guarantee that these easy craft sets will keep your kids quietly and happily occupied for hours.